Hybrid-cloud companies Cloudian and ScaleMatrix, and genomic data analysis and management company OnRamp Bioinformatics have announced a partnership the companies say will significantly increase the speed of genomic data analysis while providing data handling and storage solutions that can reduce costs by as much as 50% compared to traditional cloud-based offerings. The combined offering of the three companies draws on the data management and analysis expertise of OnRamp, with the object-oriented, on-premises storage models of Cloudian and ScaleMatrix. It allows research organizations—large and small—to maintain efficient in-house control of their own data. Four-year-old, San Diego-based OnRamp Bioinformatics provides not only the informatics and computational power to the equation, but also a system for tiering which data derived from experiments should be retained, cataloged via metadata, or moved to the Cloudian or ScaleMatrix storage. Perhaps as important as the data retained, OnRamp automates the process of discarding unneeded data that can burden genomic IT and storage systems. Effectively lessening the data burden without decreasing the value of the genomic data is only a part of the equation, said Wesselman, who previously worked in Hewlett Packard’s hyperscale computing division. OnRamp was initially working with ScaleMatrix using its on-premise computing offering before Cloudian joined to complete the picture. 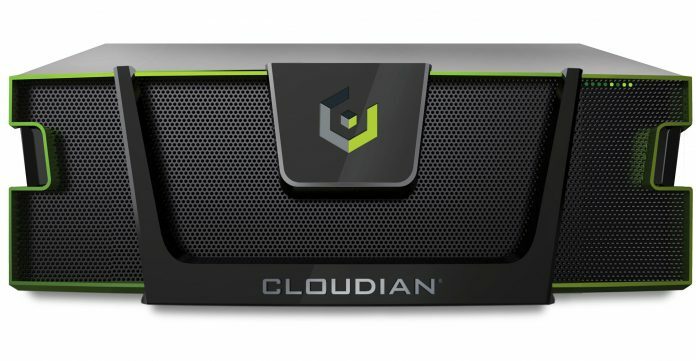 For it’s part, Cloudian provides a significantly lower price of data storage compared to cloud services via its hybrid cloud object storage systems. “We are object storage that sits in the data center. What is important is the scalability—it can grow infinitely to accommodate the data you are generating,” said Toor. “But from a cost perspective, one of the really appealing aspects of object storage is that we run on industry standard servers. All of which enables a service offering for providing valuable genomic data to a broader range of researchers. In Wesselman’s view, it is imperative that genomic research solutions move beyond the realm of the 15,000 bioinformaticians who currently ply their trade to the broader community. In order to deliver on the promise of an interface that can intuitively provide the data each scientist needs for their work, OnRamp brought on Jean Lozach as CTO, who previously held bioinformatics positions of increasing responsibility with Illumina.